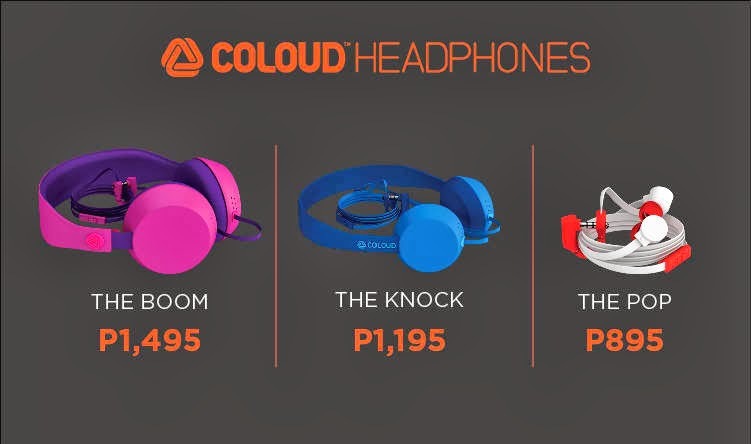 Colorful, high-quality and affordable Coloud Headphones are now in the Philippines! Coloud is a Swedish headphone brand designed to deliver dynamic sound experience, with all the reliable and functional features you need to deliver your daily dose of music. It is available in three stylish models: The Pop, The Knock and The Boom. Coloud Headphones are available in Beyond The Box, Bratpack, Buzz, Digital Hub, Digital Walker, Astrovision, Automatic Center, Electroworld, Avant, iCenter, iGig, iStore, iStudio, Mobile 1, Power Hub, Technoholics, and Urbanathletics. Party with us this Saturday in the Sofitel Philippine Plaza Grand Ballroom as as Sophie Paris celebrates another year! The event will be hosted by Sam yg, and expect special performances from G-Force, Elmer Dado & Gruppo Tribale, and BAMBOO! Ticket price is at P1500, inclusive of dinner and premium giveaways. Hope to see you there! Le Caprice is Now Open! + Marc Jacobs Bag Giveaway! In love with the lookbook of Le Caprice, a brand by my favorite fashion blogger Bestie Konisis. 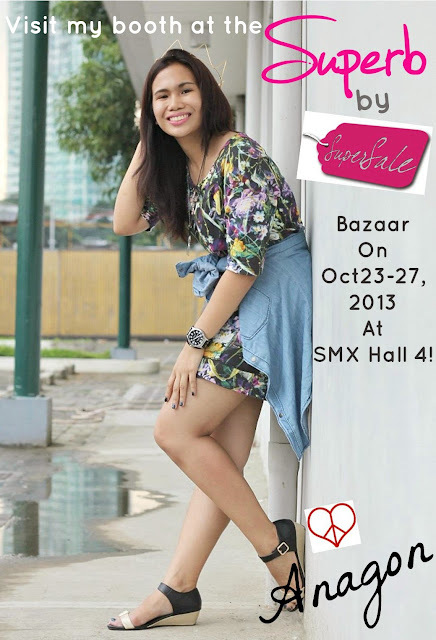 Expect dreamy pieces from this latest collection, syempre accessorized with Anagon headpieces! :) The best part...they're also holding a giveaway for the shoppers! Do you have what it takes to become the next set of His and Hers Graphic Tee design winners for 2014? Test your skills and find out! All you have to do is download the t-shirt template at solo.com.ph and create a his & hers design featuring the theme Musika. Then, you must log on to Facebook and upload your entry at Solo’s Facebook page under the His & Hers Graphic Tee Contest Tab/App together with the online application form. That’s it! Submission of entries will begin on October 1 until November 15. Voting period is until November 30. 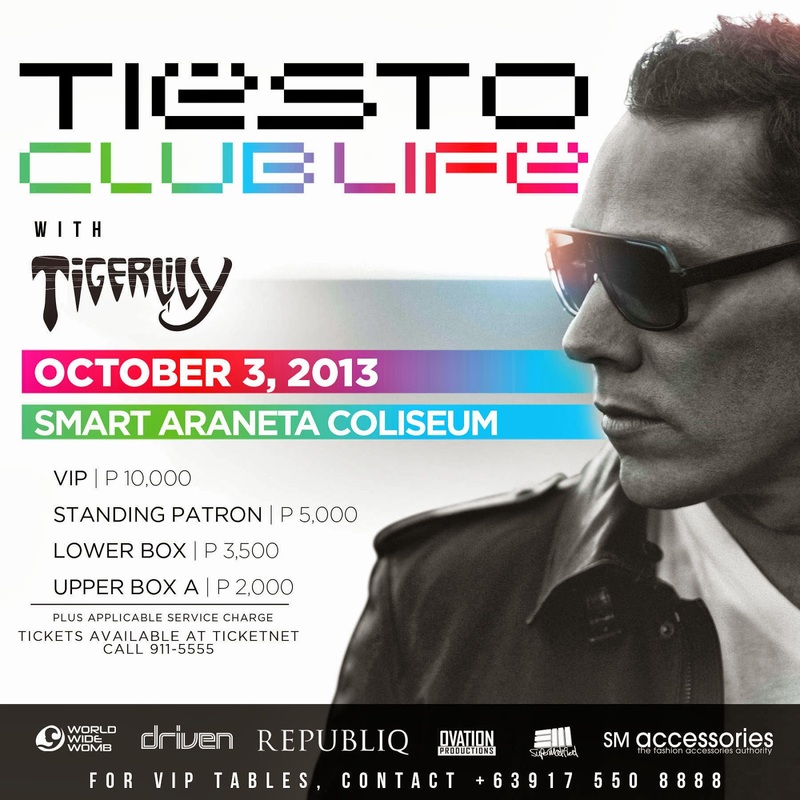 SM ACCESSORIES presents TIESTO Club Life! Party with us this Thursday at the Smart Araneta Coliseum! Want to score free tickets? 4) Comment below with your full name, email, and link of your tweet. 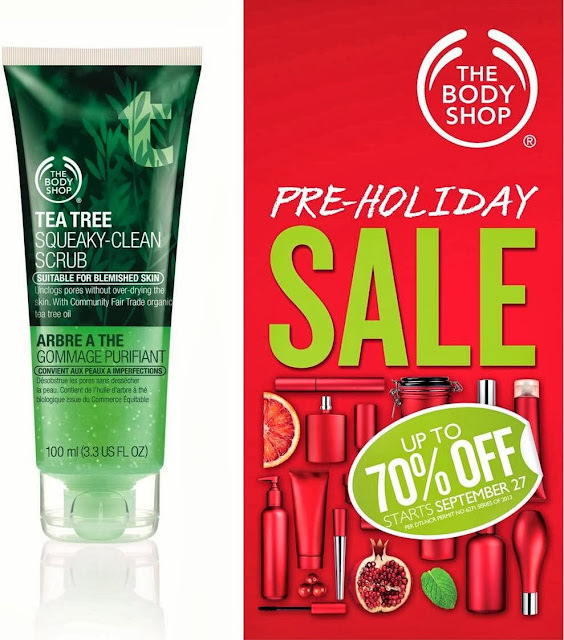 Winners will be announced on Wednesday! Good luck!